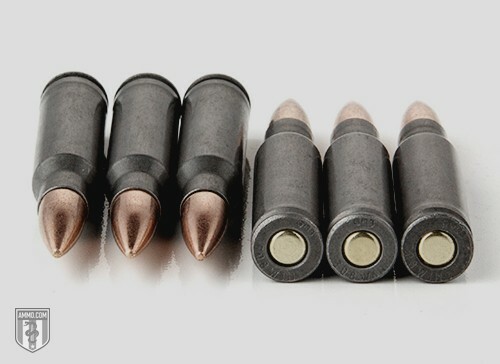 Commonly referred to as “non-U.S.” ammunition (due to the U.S. leaning heavily toward Boxer-primed ammo), Berdan primers are often used in other countries around the world. But that doesn't take away from their significance within the ammo industry. Ironically, Berdan bullet primers were created by an American named Hiram Berdan (while Boxer primers were created by Englishman Edward Boxer.) It's unclear as to why the use of these primers is inverted, however, we do know what distinguishes each type as its own. The biggest issue this ammunition faces in the U.S. is reloading Berdan primers. Berdan primers are difficult, time-consuming and require special tools to be able to reload. They can also be hard to come by in the U.S., and require specific ordering in many cases. Boxer primers are relatively simple in comparison, and are the preferred choice among shooting ranges, sporting events, law-enforcement and the military. The Berdan primer features the anvil (with two or three tiny flash holes) as part of the primer pocket of the cartridge, while the Boxer has the anvil (with only one flash hole) built directly into the primer cup. This makes Berdan primers easy to manufacture because they are tiny empty cylinders that can be punched out of various metals, allowing the priming compounds to be placed inside afterwards. These also offer a variety of sizes for very specific uses. Berdan primed ammunition is still common around the world, and works just as well as Boxer-primed. Keep in mind that the accuracy of the round and the velocity of the bullet is comparable no matter what the primer – this feature is more dependent on the powder. Aluminum-cased cartridges are often Berdan-primed because they are not intended to be reloaded. It also shaves a little off the cost, making them a very affordable single-use round. These are a great low-cost choice for hunting, practicing or simply shooting on your property. If you’re not worried about reloading your brass and you shoot often, this is a good choice that can save you money over time. Some older types of Berdan primer cases had issues with corrosion, but not with modern cases. If you have dated bulk ammunition that you're skeptical about, look for corrosion or anything that doesn’t quite look right. A quick visit to your local gunsmith can confirm this as well. When looking for Berdan primers for sale, the use is one of the most important things to consider. If you plan on spending a lot of time at a shooting range, first ask if they allow it. If they don’t, the reason is likely related to the reloading issue. Indoor ranges prefer Boxer-primed with a brass casing, but this can vary depending on where you live and the range operator’s opinions.